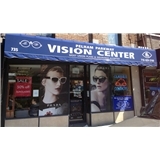 Pelham Parkway Vision Center (Bronx) - Book Appointment Online! In addition to routine eye exam and contact lens fittings, we also provide screening for glaucoma and cataracts. And if you need reading glasses, driving glasses, sunglasses or contact lenses look no further! We carry both affordable and high-end frames and the latest contacts. As you browse our site, take a moment to learn about the frames, contacts and state-of-the-art equipment we use, along with meeting our doctors. No matter what your eye care needs are, our professional staff is ready and willing to help you. We look forward to meeting you personally.